Welcome to the Home Page of Rev. Clive Thrower's web site. Rev. 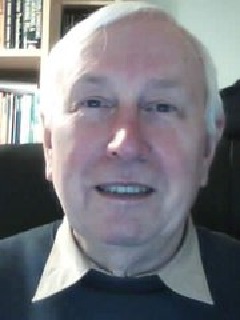 Clive Thrower retired from the full-time ministry in 2007. He was vicar of Ashford in the Water, Sheldon and Longstone with Wardlow (parishes near Bakewell, Derbyshire). He was appointed to these parishes in 1991. In 2006 in his capacity of Rural Dean he became priest in charge of Stoney Middleton and Curbar parishes. At the same time he transferred day to day care of Ashford in the Water and Sheldon parishes to the Rev. Canon Tony Kaunhoven. Clive is a Vice-President of the Derby Diocesan Association of Church Bellringers. Also he is the DDA Bell Repair Fund Secretary. Bakewell & Ashford Film Society at which Clive is the projectionist. St. Peter's church, Edensor where Clive and Joy Thrower now worship.